And so it begins. With the Coachella festival just a few months away, rumours are flying about who will play this year's event, as bloggers everywhere drop word that the headliners could range from Animal Collective to the Replacements to Morrissey to Britney Spears. However, thanks to the rumour mill, there's another band suddenly topping the list of possible players: Pavement. 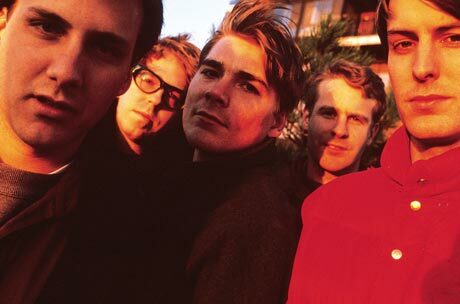 Today, UK media outlets lit up with reports that '90s slacker sweethearts could be reuniting to play the 2009 edition of the California festival, with former Pavement guitarist Scott Kannberg (aka Spiral Stairs) dropping word that the band's booking agent has been in talks with organizers. However, no matter the headlines say, it's difficult to draw any hard conclusions from Kannberg's recent comments about any possible Pavement reunion. Speaking to UK music mag Loud and Quiet, he said: "I don't see why not, you know, it could be a fun thing to do, go and play your favourite songs every night. Everything's fine now [between the band members]. "2009 would be our 20-year anniversary too, so that'd be a good time to do it, but I think that's too soon, it might have to be pushed back later. "Coachella keep asking our booking agent but our booking agent's pretty strong. He's waiting for the right number, I think." So there you go. Some more Pavement reunion rumours for you to chew on. To actually see who's confirmed for Coachella this year and who's actually only thought to be playing, you can click here. Pavement "Father to a Sister of Thought"